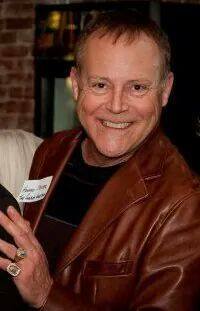 Howard W. Meyer (1954 – January 3, 2015) was a LGBT community leader, philanthropist and business leader. He was the longtime owner of The Complex (formerly Angles) on Chouteau, a staple of St. Louis LGBT nightlife which operated from Dec. 1989 - July 2011. In the age of the large warehouse clubs, the many manifestations of the Complex reigned supreme providing a gathering spot and playground for three generations of LGBTers. Heavily involved in city, state and federal politics he served as an openly gay 6th Ward Democratic Committee member and hosted countless fundraisers starring governors, senators and presidential candidates. Meyer also served as the longtime LGBT liaison to Mayor Francis G. Slay through two terms and was a former HIV/AIDS liaison to Slay and helped to control 25-percent of the City Health Department's budget. The recipient of many honors over the years, he was given the 1994 Felton T. Day Award and 2013 Lisa Wagaman Lifetime Achievement Award from Pride St. Louis, Inc.
Raised in North County, Meyer graduated from high school in the small town of Bowling Green, Mo, before returning with his family to the St. Louis area. Throughout the 1970s, he enjoyed a successful career in the hotel, restaurant and bar business all the while exploring the fledgling gay community. The avid city dweller went on to enjoy a second career in real estate and insurance prior to opening The Complex. Meyer's involvement in local politics began with the Lions Club in Oakville where he became involved in several races including Harriet Woods' bid for U.S. Senate. In a 2003 interview with this reporter, he admitted that it was the tragic death of Missouri Gov. Mel Carnahan in late 2000 that proved the catalyst for his infectious political activism. Carnahan, his son, and a top aide were killed in a plane crash after leaving a fundraiser at Meyer's home amid a heated race to unseat Republican John Ashcroft in the U.S. Senate. (Although deceased, Carnahan went on to win the race and his wife Jean served in his stead.) "It was the governor's party at my house the night that he passed 40 minutes after leaving my doorway that really kind of propelled me," Meyer said. "I believe so firmly in his and his family's values of good government. Mel would always say, 'good government.' It's not about this, it's not about this, it's about getting people involved in good government." "Howard Meyer was a St. Louis Icon," said longtime Complex employee Leon Braxton, aka Dieta Pepsi. "He worked tirelessly to bring attention and support to our community. He worked with Mayor Slay on countless LGBT issues that included homelessness and hate crimes. He was not just the owner of The Complex Nightclub and my employer for 21 years he was an activist, a humanitarian, a philanthropist, a father to us who worked for him but most of all he was a great friend." "We've been about as close as lovers without benefits as two gay men could be for the last 25 years," said Joe Bradley, another friend and employee. "I came to St. Louis to work for him in 2006 and he took care of me from then on. He let me live out my "drag" fixation thru Miss Gay Midwest America and Miss Missouri Continental for 20 years. He always told me to put my priorities in order and not have drag first, but he would still indulge me."